How it’s New York: Highline Ballroom is in NYC, and Julie Feeney has played in NYC before, where we love her! Listen to Julie on this podcast, and read reviews that have been put up about her here and here. How it’s Irish: Julie Feeney hails from Galway, Ireland. While her songs are original, she can sing mouthmusic and trad as well, memorably singing a little mouthmusic at “Pen, Paper and Palate” last year. Blogger Kathy Callahan saw Julie at Highline a few weeks ago and found Julie mesmerizing! Kathy, like me, lives in New Jersey where it’s been a disaster area (literally). Thanks to Kathy for getting this to us in time for the CD release in Ireland! 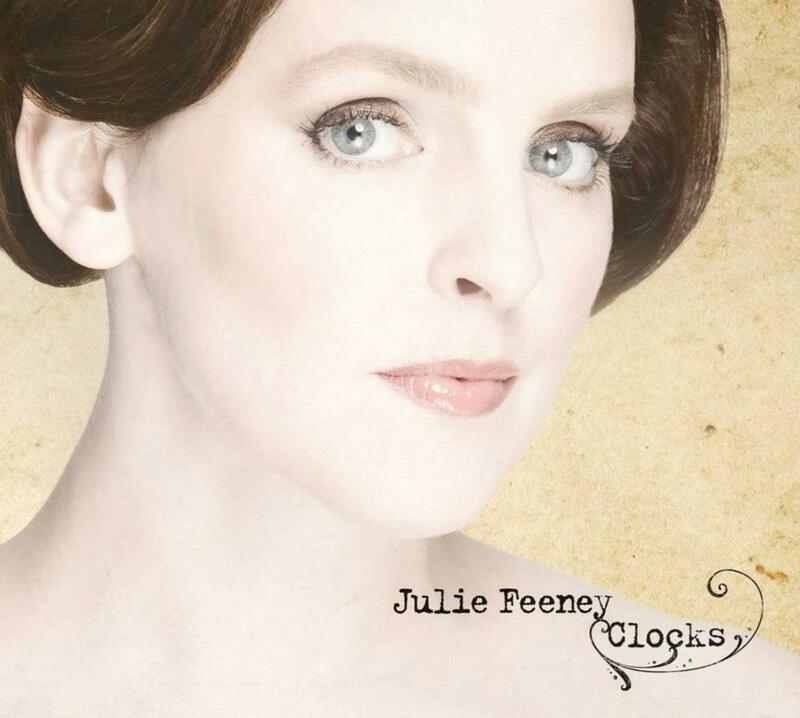 Julie Feeney is a musical tour deforce with a heart of gold and abundant energy to share. She mesmerized an entire audience across generations at Highline Ballroom NYC October 24 -as she sashayed her way around the stage and deep into the room and hearts of fans while whispering inspirational nuggets in their ears and for all of us to hear. The Galway songstress premiered songs from her soon to be released cd collection, Clocks, November 16, 2012 at in Ireland (sadly, not here). “I’m a composer-singer; that’s the best way to label it,” says the conservatory trained Feeney. The audience was immediately enchanted by songs from Clocks. Her songs play on words, as she mesmarizes listeners in a maleable mezzo-soprano with a distinctive chamber-pop edge. “Will you ever wish you knew what a spell you cast? while a new song, “If I lose You Tonight,” calls to mind a traditional Irish Ballad. Julie Feeney gives us introspective musings on life with precisioned rhythems and a decidedly Ancient Irish beat.